A Plymouth based charity has created a central online hub of information for healthcare professionals and patients, with the launch of their new website. St Luke’s Hospice Plymouth has launched a brand new website, with quality of care provision at its’ core. 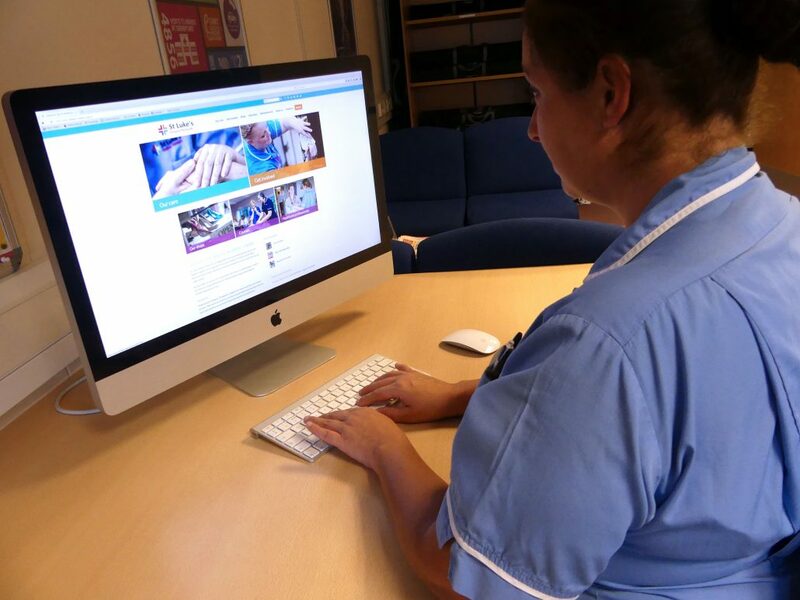 A key focus of the website is their new ‘information hub’, which provides resources, downloads and medical guidance for health and social care professionals, medical students and patients and their carers. Other features of the new website include a dedicated area for course bookings for the variety of end of life training and clinical courses that the charity runs, as well as a live feed of care reviews left on the ‘Tripadvisor’ of the care profession, iWantGreatCare. The website also includes a virtual tour of St Luke’s specialist unit at Turnchapel. The online tool offers the chance to wander around the halls of the local landmark, and hopes to demystify the work done by the nursing teams and support staff that work inside. The website has been designed by Plymouth based creative branding design company, Logo Creative Partners. The website is the result of 10 months of hard work, since the charity launched a tender process for the work back in September 2016. The project has highlighted the importance of local partnerships, with the two Plymouth organisations working closely to create a website that not only represents the charity and its’ values, but provides clear information surrounding end of life care for healthcare professionals and patients alike. Logo Creative Partners were chosen to undertake the project as they showed a clear understanding of the St Luke’s ethos and position within the community, which they were able to translate into the design of the website. Managing Director at Logo Creative Partners, Nick Burrage said, “Logo Creative Partners were delighted to be able to work on the St Luke’s website. We clearly identified the challenge as treating the very different visitor groups to the site appropriately in each case. While medical professionals will be busy people in search of information, friends and relatives of those using the hospice need to be treated in an entirely different way, sensitive to their situation. Of course there are also a large number of fun-runners and donors who have a different mindset again!